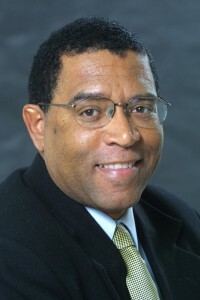 SAN FRANCISCO, September 21, 2007 – Chauncey Bailey, slain editor of the Oakland Post, has been named Journalist of the Year by the Northern California chapter of the Society of Professional Journalists for his fierce commitment to investigative journalism in the face of personal danger. At a time when journalists around the world are under threat for simply doing their jobs, Bailey was a forceful presence in print and on radio and television in the Bay Area for the past 15 years. A tireless advocate for the African-American community, he was assassinated while pursuing a story, and evidence presented thus far shows that he was assassinated because he was pursuing that story. His death is a loss to the Bay Area community he served, to the young journalists he mentored, and to the profession of journalism he so passionately practiced. Chauncey Bailey and the other winners will be honored at the SPJ Excellence in Journalism Awards dinner on November 8. This year’s winners explored a wide range of issues; among the subjects most often cited were global climate change, the effects of violence, and the inadequacy of California’s foster care system. The San Francisco Chronicle, KCBS Radio, the National Radio Project, and the San Jose Mercury News won multiple awards. Two veteran Bay Area journalists, David Talbot and Randy Shandobil, are winners of the Career Achievement Award. After a distinguished career in print journalism as senior editor at Mother Jones magazine and arts and features editor at the San Francisco Examiner, David Talbot turned to the web in 1995 and founded Salon.com. Called “a pioneer of online journalism” by The New York Times, he proved that investigative, ethical journalism can thrive on the Internet. After serving as editor-in-chief and chief executive officer of Salon for a decade, he stepped down in 2005 but continues as board chair. He is the author of the just-released book Brothers: The Hidden History of the Kennedy Years. Randy Shandobil, KTVU-TV political editor, has consistently demonstrated that first-rate political reporting goes way beyond horse-race stories at election time. His innovative, issue-focused coverage engages viewers and informs them about their electoral choices. Long recognized by his broadcast peers, he has received eight Emmy awards and two Walter Cronkite Awards for Excellence in Television Political Journalism. He joined KTVU in 1978 and previously was a general assignment reporter and producer of The Ten O’Clock News. Malcolm Margolin, author of The Ohlone Way, editor, and publisher, receives the Distinguished Service Award for his contribution to book-length journalism. Numerous California journalists — contemporary and historical — have found new audiences through his role as publisher at Heyday Books, which he founded in 1974. Among recent Heyday releases are The Port Chicago Mutiny by Robert Allen, Under the Dragon: California’s New Culture by Lonny Shavelson and Fred Setterberg, and Perfume Dreams: Reflections on the Vietnamese Diaspora by Andrew Lam. Heyday also has given new life to out-of-print journalism classics by Carey McWilliams, Lincoln Steffens, and Ambrose Bierce. The Unsung Hero Award goes to Fred Goff of the Data Center who for 30 years has remained committed to making information available to journalists. A public interest research library in Oakland, the center was “database central” for journalists in the pre-Internet days. The Data Center’s clipping files and its skilled and dedicated researchers provided helpful background for journalists covering such subjects as immigration, the environment, Latin America, and community issues in the Bay Area.